During the second half of the 20th Century, an all-encompassing business philosophy named Total Quality Management (TQM) evolved, most notably in Japan. It heralded the coordination of all disciplines within the value chain to focus only on the primary objectives of the company. The mission of TQM was to improve quality, eliminate variation, reduce waste, and drive out unnecessary costs. A logistical subset of this overarching approach was the concept of “just-in-time” (JIT) inventory that envisioned a dynamic, continually moving supply chain that delivered raw material to the respective production lines precisely when needed. The result of JIT inventory planning was reduced on-hand inventory, elimination of on-site storage facilities, improved forecasting, and more efficient logistics. Naturally, a harmonized system can be achieved only with open and transparent communications among every link of the supply chain. Improved technology and committed partnerships with suppliers and transport companies are the fundamentals of such an efficient, high-performance collaboration. Twenty-five years ago, global auto manufacturers began building production facilities in Alabama. The logistical advantages, a ready and reliable workforce, and supportive communities played essential roles in the automotive companies’ decisions to locate assembly plants. With Honda, Mercedes, Hyundai, Toyota, Mazda, and Autocar producing in the state, automotive assembly is the leading industry in Alabama. Other sectors have developed rapidly as well. According to a NewsMax article, the other fastest growing industries in Alabama are chemicals, technology, forestry, and aeronautics. The dramatic expansion means that more materials and products are moving in and out of all these facilities. Local production and logistics services providers have adapted their businesses to meet the growing demand. According to a Toyota article, the typical automobile consists of 30,000 individual parts that account for every element down to the smallest screw. However, most principal components are preassembled in far-flung areas of Asia, Europe, Latin American and other parts of North America. Each must be coordinated to arrive at the assembly plants in time in the right quantities. 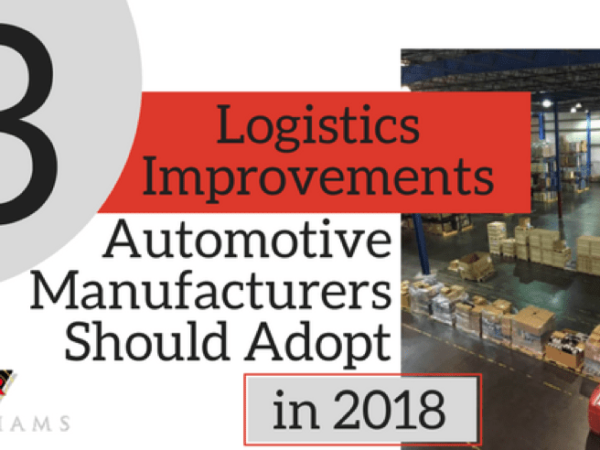 Using forecasting and multi-variable planning, automaker planners must align with dependable, proven logistics companies to ensure parts are in the right places at the right time in the correct quantities. An auto assembly line that shuts down because of a critical component shortage can cost the manufacturer an estimated $50,000 per minute, according to one source, although the actual costs can vary, more or less, depending on the factory. In any event, an out-of-stock is both serious and expensive. 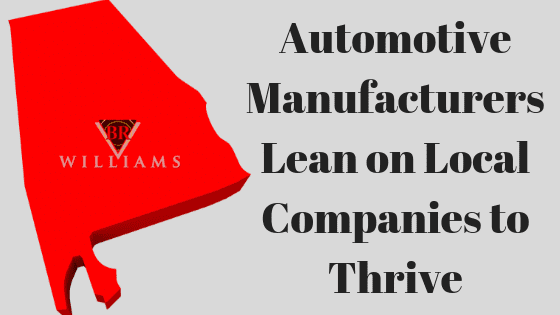 At BR Williams, we are a key resource for parts and supply movement related to Alabama automotive assembly plants. 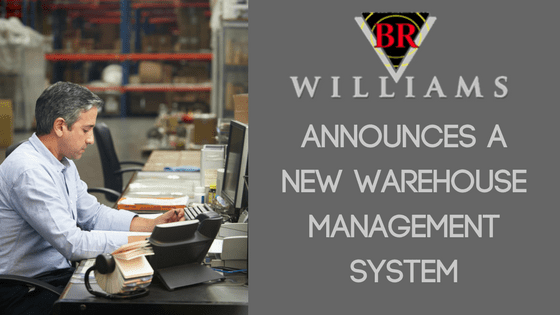 With seven locations throughout the state, BR Williams is strategically situated to serve a broad range of customers. Providing premium logistics services for over 60 years, we’ve intentionally positioned the company to be an integral part of the business boom that Alabama has experienced in many different industries. 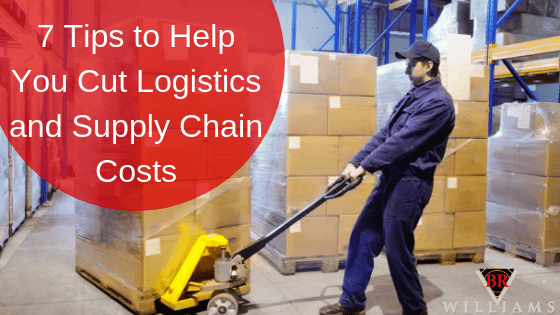 The company provides a full range of logistics and supply chain services including trucking, warehousing, drayage, distribution, and planning. Many Alabama companies have benefited from the expansion of and collaboration with the expanding industries. According to Business Alabama, auto industry alone has created at least 40,000 directly related jobs at the assembly plants, OEMs, and suppliers to support the industry in the state. The new Toyota/Mazda factory announced this year is expected to add another 4,000 new positions to support their projected volume. Collaboration and shared vision by logistics companies like BR Williams have enabled Alabama to attract new commerce and grow.